It makes me really sad to hear of people who are not prioritizing their health simply because they think it’s too expensive. I’m here to tell you that WELLNESS is not nearly as costly as ILLNESS. But I truly understand that cost is a concern. When my family and I made the choice to adopt a healthier lifestyle, one of our biggest worries was how that decision would impact our wallets. We were able to up our grocery budget a little, but we really didn’t want to spend a lot more. We still had a kid in diapers and we’ve been on a mission to pay off debt. So learning to eat healthy on a budget was absolutely critical. Once I started the AI Protocol and began making separate meals for the boys and for myself, learning to save on groceries became even more necessary. Our very first trip to Whole Foods, Trader Joe’s AND Target to get all of the necessary organics, produce, meats, etc wound up costing us WAY over our usual budget. But it was a good starting point. 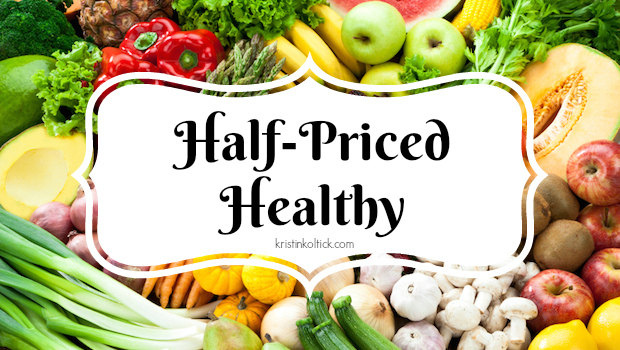 Over the past year or so, I’ve come up with some cash-saving tips to help us eat healthy for half the cost. We’ve learned to make it work because we had to. If we can do it, YOU can do it. Here’s how! 1. Meal Plan. Creating a meal plan and sticking to it is the easiest way to cut down on spending. By creating a meal plan, and a corresponding grocery list, you eliminate excess spending AND waste. Just make sure you ONLY buy what’s on your list and don’t give in to sales or those tempting treats at the check-out. Tip: Always use one night’s dinner for the next day’s lunch to ensure you’re using up all of the leftovers! Tip 2: There are TONS of free meal plan templates available for download on the internet. 2. Shop in Bulk. Places like Sam’s Club & Costco offer a lot of bulk foods that can be stored until later use. They even carry quite a few healthy ad organic options. 3. Eat eggs. All the time. Eggs are a healthy, inexpensive food that be used in countless ways from a frittata to a cauliflower pizza crust! 4. STOP eating out. All of those pizzas you’re ordering or drive-through runs to McDonald’s?? They’re not just leading you closer to heart failure and diabetes. They’re eating away at your wallet, too! Cut out the crap and start cooking healthy foods. Your body and your bank account will thank you later. 5. Buy produce that’s in season, when it’s cheapest. Or, buy frozen fruits and veggies, which are less expensive than the off-season fresh ones. 6. If you can’t afford to buy all organic, stick to organic for the dirty dozen and buy the rest of your produce at the less expensive rate. 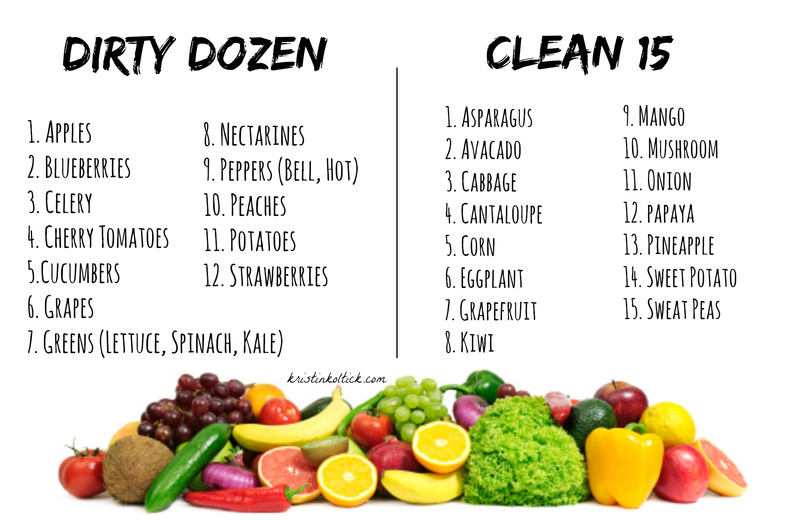 What are the dirty dozen? They are the fruits and vegetables that contain the highest amount of pesticide contamination, so you want to avoid that exposure by purchasing organic when possible. Check out this handy chart for reference! 7. Join a Community Supported Agriculture program (or CSA). You can receive a shipment of fresh, organic produce weekly, biweekly or monthly. A lot of CSAs also have bulk meats available for purchase. To find a CSA in your area, go here. 8. Visit your local Farmer’s Market for great deals on fresh fruits and vegetables. Even better? Go shortly before closing time when you can negotiate the prices or find already-reduced items. 9. If you see a theme here about produce, there’s a reason. Vegetables are healthy, versatile and pretty inexpensive. Instead of loading up on expensive meats at the grocery store, add more veggies to your diet. You should be consuming around 5-7 servings of vegetables daily anyway, so here’s another chance to increase your wealth & your wellness! I hope this helps you as you begin your journey to health & happiness. As always, if you’re looking for a more structured nutrition plan or program with one-on-one support, please feel free to contact me here!